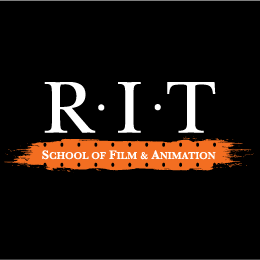 Welcome to the internal website for RIT’s School of Film and Animation (SOFA), where the timeless art of filmmaking meets cutting edge technology. Navigate SOFA Homepage topics by using the menu directly to the right. Prospective students, please see our external website. Film can be a confusing word because it has a number of meanings. Everyone understands it as a photochemical technology for capturing images (Kodak film), and most people think of it as a theatrical medium of exhibition (film vs. television), but it is also a production form—a method and aesthetic for producing live action content. So even in a digital age film is still a relevant word. Today, the film and animation production forms are more prevalent than ever. They can be made with film and digital technology; create features, series, shorts, music videos, commercials, and corporate videos; and play in a theater, on a television, and through new media (both computer and phone). Our BFA and MFA students study film and digital technology, and the film medium, but focus on the film or animation form. Our BS students, on the other hand, are all about technology but they still study the art of the medium and the methods of the forms so they understand the needs—and can solve the problems of—those who use the technology. Because of film and animation’s common origination in film technology and home in the film medium, at SOFA we consider all of our students filmmakers. If you are a prospective student and read this far, please apply. We want students like you!